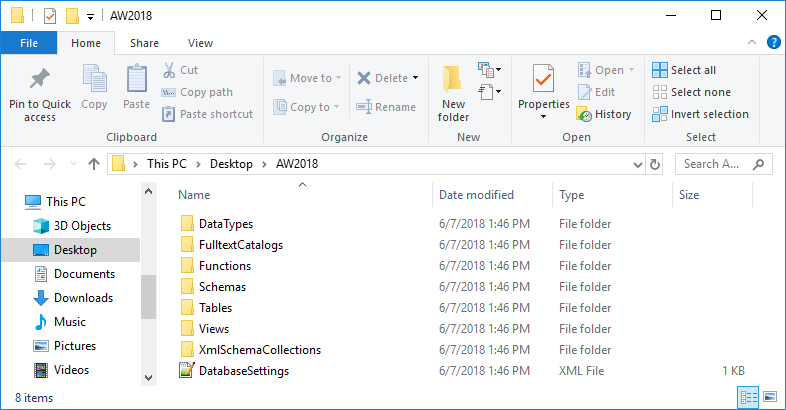 There are certain situations when creating a build script from a database is necessary – when a specific object (table, view, stored procedure, user, etc.) needs to be recreated or rolled back to a state it had earlier. If an online database doesn’t contain this object anymore or contains a newer version of it, the only places to look at are full database backups. If a database is versioned under source control, an object can be easily found there, but let’s assume that only SQL backups are available. The most logical solution is to take a full database backup, restore it, and get what is needed and in most cases, this is the best and quickest solution. This is a perfectly viable solution for small databases where backups take several hundred of MBs. For large databases, besides significant time needed to restore a backup, the lack of space on hard drives might be encountered as well. The time needed for a database restore depends not only on the backup size, but also on the server configuration and current load. The space needed is at least equal to the size of the full database backup. ApexSQL Diff is a SQL Server database comparison and synchronization tool which detects differences between database objects in live databases, backups, snapshots, script folders and source control projects. Although it is most commonly used for comparison and synchronization, its features can be used to achieve some other tasks. Here is a simple trick used for this solution: comparing a data source such as a live database, a database in a source control system, a backup, or a snapshot to a blank destination will actually create a build script that creates SQL objects that exist in the source. This means that with ApexSQL Diff there is neither the need for additional space on hard drives, nor the need to restore a database backup; at the same time a DDL script can be created for the selected object in the database. If there are any dependent database objects, they can be scripted too and will be created in a proper order. Uncheck the Include dependent database objects checkbox to avoid updating objects other than the ones selected in the Results grid. A database backup doesn’t have to be a black box accessible only when it’s restored to a SQL Server. Database comparison and synchronization tool – ApexSQL Diff can read its content without restoring it and thus help out to work with SQL objects stored in it.